While sport utility vehicles and crossovers are at the height of their popularity among Canadian drivers, sedans, hatchbacks and wagons still appeal to many drivers. The benefits of these passenger cars can include lower fuel consumption, easier manoeuvrability through busy city streets and lower costs of ownership as compared to equivalent SUVs. The Honda Civic continues its twenty-year run as the best-selling passenger car in the country, far outpacing its competitors. The Chevrolet Cruze happens to be the most popular domestic passenger car model, moving nearly three times as many units as its nearest domestic competitor, the Ford Focus. It is notable that eight of this year’s ten best-selling passenger cars fall into the compact category. The only two models that don’t are the mid-sized Toyota Camry and Honda Accord, both of which were redesigned for the 2018 model year. We’ve featured some of our favourite offers this week on Canada’s most popular cars. If you don’t find an offer that suits you, be sure to check out the Globe Drive Build and Price Tool to see the latest incentives and discounts on any new car, truck or SUV. The Toyota Corolla is the second-bestselling passenger car in Canada. 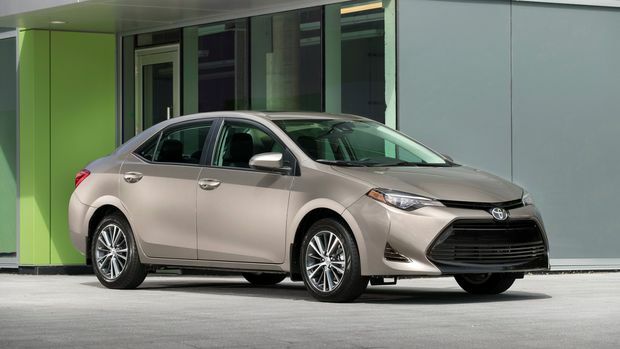 The 2019 Toyota Corolla is powered by a 1.8-litre, four-cylinder engine that makes 132 horsepower and 128 lb.-ft. of torque. All trims feature a 6.1-inch infotainment display with voice recognition and Siri Eyes-Free capability, a six-speaker audio system, a backup camera, solar energy-absorbing window glass and automatic LED headlights. Standard safety features on the 2019 Toyota Corolla include the Star Safety System, which includes smart-stop technology, vehicle-stability control, traction control, brake-assist and electronic brake-force distribution, as well as Toyota Safety Sense, which includes a precollision system with pedestrian detection, lane-departure alert, automatic high-beam and dynamic-radar cruise control. 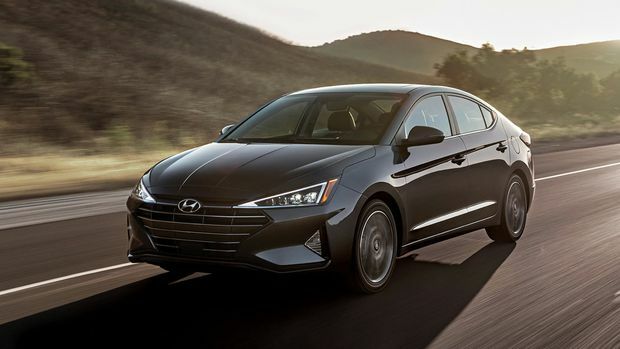 The Hyundai Elantra, the third-most popular passenger car in Canada, has received a facelift for the 2019 model year, now sporting a redesigned front and rear fascia as well as a new interior console layout. The 2019 Elantra generates 147 horsepower and 132 lb.-ft. of torque through a 2.0-litre Atkinson-cycle Nu engine while sipping as little as 7.4 litres of fuel per 100 km. The Preferred trim features a seven-inch touchscreen infotainment display, Android Auto and Apple CarPlay compatibility, a six-speaker audio system, a rearview camera with dynamic guidelines, a heated and leather-wrapped multifunction steering wheel, automatic projector-style headlights and mirror-integrated turn signals. Also available on the Preferred trim are a power sunroof and active safety features such as autonomous emergency braking, forward collision warning, lane-keeping assist and lane-departure alert. In fourth place, the Chevrolet Cruze is the only domestic model among the ten best-selling passenger-car models in Canada. It is also one of a handful of passenger car models that have experienced year-over-year growth in sales. 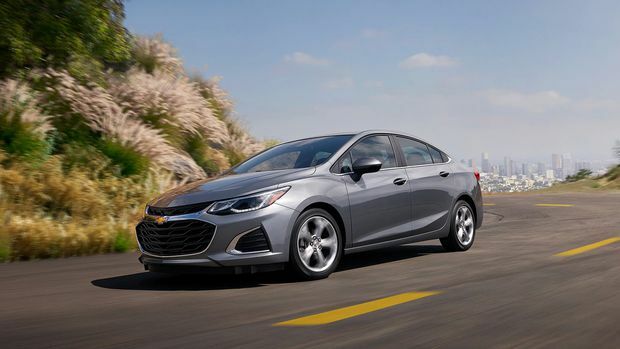 The 2019 Chevrolet Cruze LT trim is available with a choice of either a 1.4-litre, 153-horsepower turbocharged gasoline engine or a 1.6-litre, 137-horsepower turbo diesel engine. Its gasoline variant features a seven-inch touchscreen infotainment display, WiFi hotspot capability, cruise control, projector headlights with LED signature lighting, available remote ignition and climate control, and an available nine-speaker Bose premium audio system. A key safety feature on the LT trim is teen-driver mode, which restricts certain vehicle features while also monitoring driving habits to encourage safe behaviour. The Mazda3 rounds off the top five best-selling passenger cars in Canada. 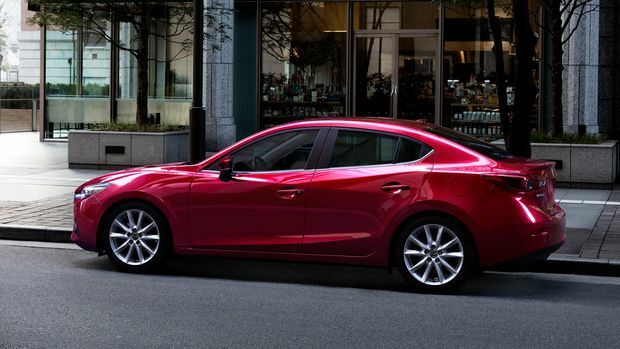 Depending on the trim, the 2018 Mazda3 is available with one of two engine variants – a 2.0-litre engine that produces 155 horsepower and 150 lb.-ft. of torque, and a 2.5-litre engine that generates an additional 29 horsepower and 35 lb.-ft. of torque. The GS trim features a seven-inch touchscreen infotainment display, a six-speaker audio system, Stitcher and Aha radio functionality, a rearview camera, push-button ignition, a heated and leather-wrapped multifunction steering wheel, an electromechanical parking brake, rain-sensing windshield wipers and mirror-integrated turn signals. Standard safety features include smart city brake support, rear cross-traffic alert and an advanced blind-spot monitoring system.